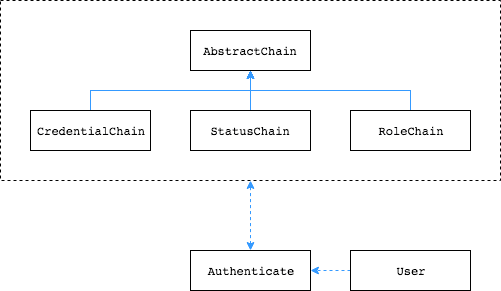 In the case of Chain of responsibility pattern, the request is passed to a chain of objects where it either gets processed by one or some or all of them. In general, the order of the chain is not important but sometimes it can be based on the business requirements. In example below, the order is important and all the objects in chain process the request. It authenticates the user by checking the credentials first, then check if the use is active or not then if the user has required permissions to use our service. For more information read Chain-of-responsibility pattern. Note: See more examples towards the end of the post. In this example, only one handler processes the data. In this example, only relevant handlers process the data. In this example, all the handlers process the data (this is same as the main example above).